A year ago TMIAJ presented this series of articles after the initial announcement of the Star Wars Blu-Rays. Now the discs are in stores this Friday, so we present these articles again as part of our Retroplex Cinema series, so that you can take a look at what may appear on the Blu-Ray discs! In the beginning of Return of the Jedi, Luke constructs a new lightsaber and hides it inside of Artoo Detoo, along with a message for Jabba the Hutt. This scene would have set things up for the later action at Jabba's palace, but it also would have given away the surprise element of Luke's hidden lightsaber. 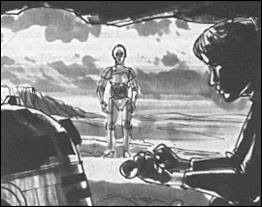 The scene shows up in the novel and radio play as well, but takes place inside Ben Kenobi's hut. 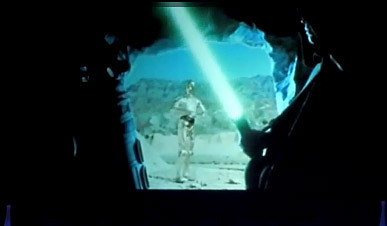 From the matte painting and storyboard that exist, it appears the location was changed to take place inside a cave on Tatooine rather than Ben's hut. Until recently rumor was that this scene was never filmed completely. Anthony Daniels himself even said it was only partially filmed as far as he remembered. But then at Celebration V Lucas revealed that it had indeed been filmed and showed it to the crowd. 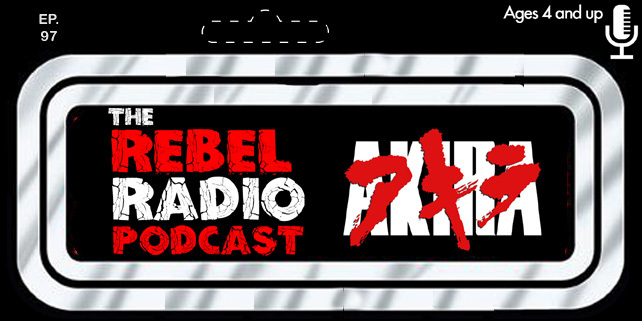 If you were lucky enough last week to see it on You Tube then great, if not you have to wait till the Blu-Ray's hit stores! Luke has fallen through a trapdoor in Jabba's palace, and is now in grave danger inside the Rancor pit. The monstrous Rancor is about to attempt to have him for dinner. In an effort to escape, Luke uses the Force to jump up to a grate above, but he is unable to get out and has his fingers mashed by Jawa gun butts for the effort. He then drops down right onto the Rancor's eye, causing it great pain... but again ends up on the run. There seems to be no particular reason for this scene being cut, other than for time or because of the difficulty of the special effects regarding the fall onto the Rancor. 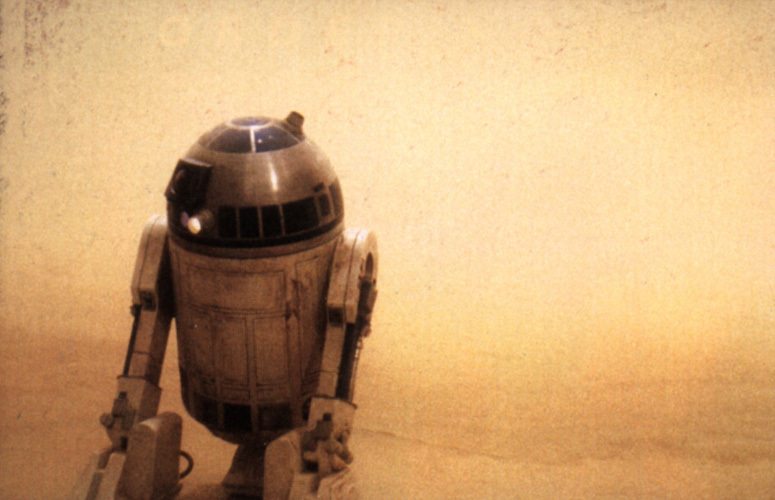 It would have given another chance to see Luke exercise his Jedi abilities as he makes the jump to the grate. 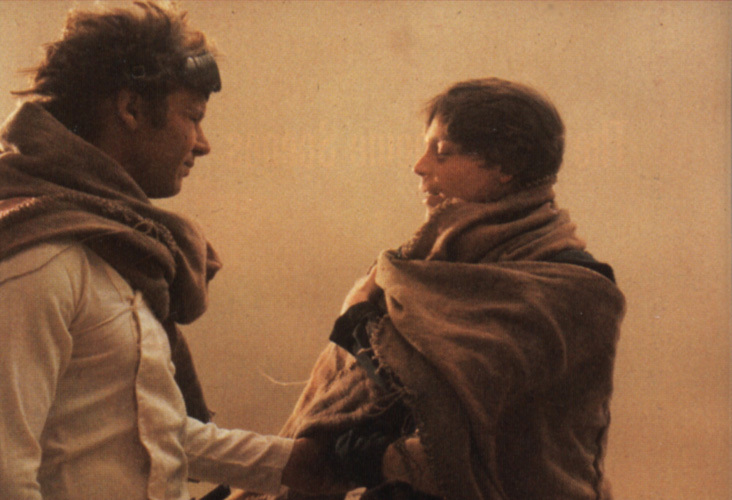 A single photo from this scene has appeared in the Return of the Jedi storybook, and the scene is included in the novel as well. 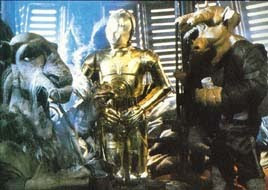 On board Jabba the Hutt's barge, Threepio has found himself an unwilling translator/mediator between a drunken Ree-Yees and Saelt Marae (aka Yak-Face). 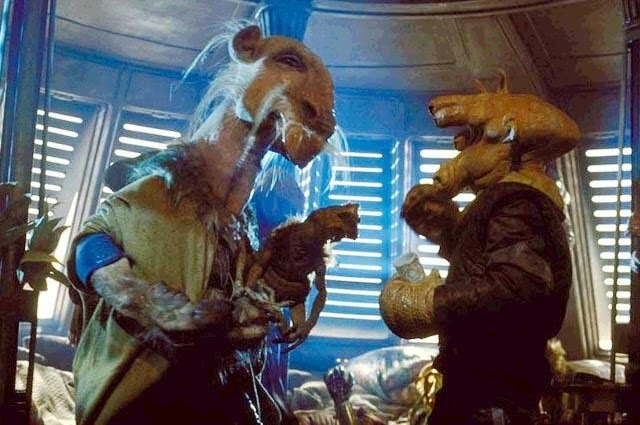 Salacious Crumb joins in the fun as well. The altercation ends in fisticuffs, just before Threepio bumps into Artoo serving drinks. This was just a little extra action taking place aboard Jabba's barge, but it was cut from the film as it was non-essential to the storyline. Pictures from this scene show up all over in various places, including in the photo insert from the novel. Also, the scene is described in the novel, but it is Ephant Mon rather than Saelt Marae who gets in the fight there. 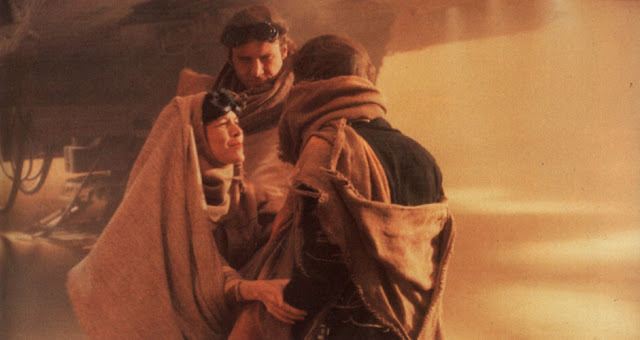 Perhaps Jedi's most famous deleted scenes, after Jabba's barge explodes, our heroes rendezvous once more before taking off and going their separate ways, but they end up having to struggle through a tremendous sandstorm to get to their ships. 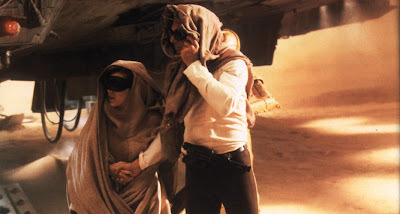 Chewbacca has been wounded during the battle, and is hobbling along with the help of Luke and Lando. They reach their ships and prepare to part, exchanging feelings and farewells. This scene would explain how everyone got on and off the planet. Parked out in the desert here is the Milennium Falcon and Luke's X-wing. The script also mentions a two-seated Y-wing being there as well. 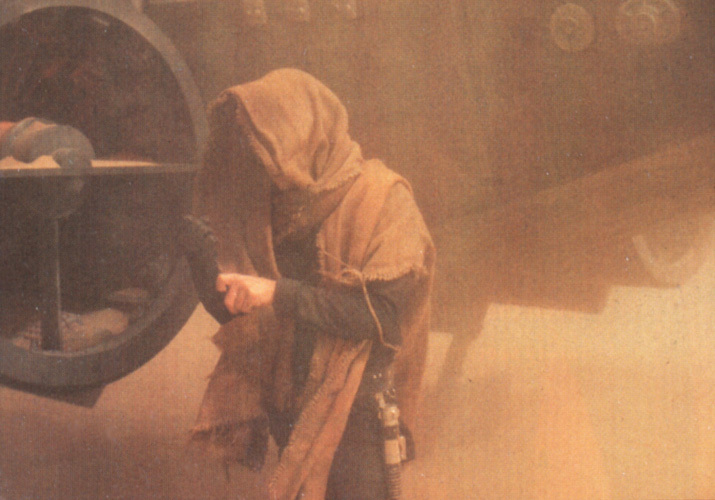 Although this scene was the first scene filmed for Jedi, none of it made it into the final film. Footage from this scene has shown up so far only as a snippet on one of the trailers for Jedi, as well as in still photographs in various places including the original West End Games Star Wars role-playing game books, the Behind The Magic CD ROM, and the Star Wars Insider. Other known Jedi scenes believed to exist include some info from a scene filmed where General Crix Madine was aboard a Mon Calamari ship during the final battle. These scenes were filmed according to the actor. Actor Dermot Crowley claims to have spent a few extra days filming in a moving chair shouting things such as "Fire!". There are also cut shots of rebel gunners aboard the Millennium Falcon. It was rumored that the B-Wing fighters would be given more to do during the battle in the Special Editions but have yet to see the light of day on film. 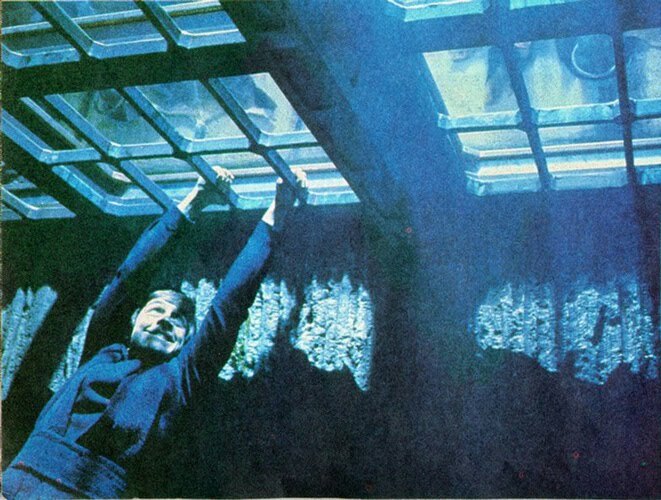 A scene now confirmed to appear on the Blu-Ray's includes additional filming inside the bunker on Endor. 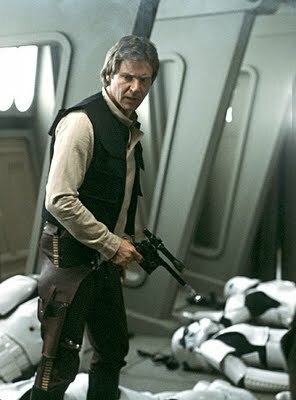 The image to the left feature's Han Solo in the bunker and you can see the complete scene on the Blu-Ray disc!